I’m sure you’ve seen that anti-toxic masculinity Superbowl commercial made by male grooming company Gillette. It depicts typically “male” behaviour, like sexual harassment and violence, and says that men can be more than that, that they can be better, before pledging three million dollars over the next three years to charity. There’s been both joy and hate from both sides of the political spectrum. Men’s rights activists say that they feel “attacked” and that Gillette is just another company buying into the feminist agenda of making men feel bad about being born. Cynics on the left are talking about how “the revolution has been bought and sold” and not to be sucked in by Gillette’s messaging because it’s a corporation that feels nothing and cares only for profits. 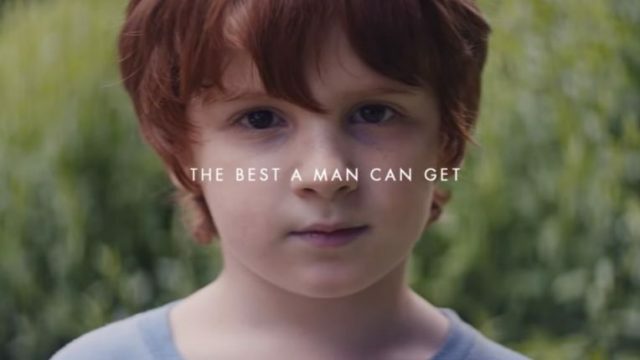 Gillette is trying to sell you something, they want your money, these cynics say, and, perhaps rightly so, that if current trends were to discuss masculinity in more “traditional” terms, they would make an ad celebrating those qualities. It’s also worth noting that three million dollars over three years is less than the average yearly bonus of Gillette executives. So, what’s going on here? Who’s right? Well, probably not the MRAs. If any man is taking the ad personally and feels attacked, then they’re exactly who the commercial was designed to speak to. The stoic man not dealing with his emotions and who is “allowed” to have little violent tantrums because he’s “stressed” is not a stable man. that brand emotionally. All too often, this is a cynical marketing ploy designed purely for monetary gain and goodwill from the public. This isn’t subtlety. Commercials aren’t known for subtlety. They are selling you something. And it’s easy for a bunch of ivory tower capitalists to sit up in their thrones on top of their piles of money and say, “Can’t you just be good?”, all while they hoard the gold like a dragon. Each board member, each executive, should make a not-insignificant donation to help the cause. Otherwise, what’s the point? If it’s only company money, it means nothing, especially with corporate philanthropy laws being what they are. I could go on and on about how this isn’t going far enough, because it isn’t. Overall, though, this is too cynical to me. Who cares if this is a marketing tool? It’s the right message. We always want people and corporations with big audiences—which means power—to do good with that power. We deride them when they don’t or when they misstep. This isn’t a misstep. Yes, they’re a company. Yes, they sell a product. But the people who buy that product? Maybe they’ll be affected by the ad. And maybe there will be others who will benefit from it despite its corporate roots. My mother told me once, “As an ad agency, we offer a client two options: an ad that will sell the product, and an ad that will win awards.” Carlton Draught’s “Big Ad” was one of the latter, and it became a cultural landmark. Similarly, Cadbury’s Phil Collins-inspired ad with a man in an ape outfit. Ads enter our brains, they affect how we think. We have to accept this as the case. We live in a time where, as soon as someone makes a social faux pas, they are called out en masse by the public. That goes double for corporations. What Gillette did was good. Yes, they are absolutely going to capitalise on the good message. Yes, they could absolutely—and should be—putting more of their money where their mouths are. This is a well-intentioned piece of advertising, aimed squarely at the people angry at it. And maybe those who aren’t mad—maybe those who don’t care about this commercial—will think twice; about how they make others feel, about how their behaviours affect those around them. It’s preaching to the choir for (hopefully) many men, but our culture still has a ways to go.